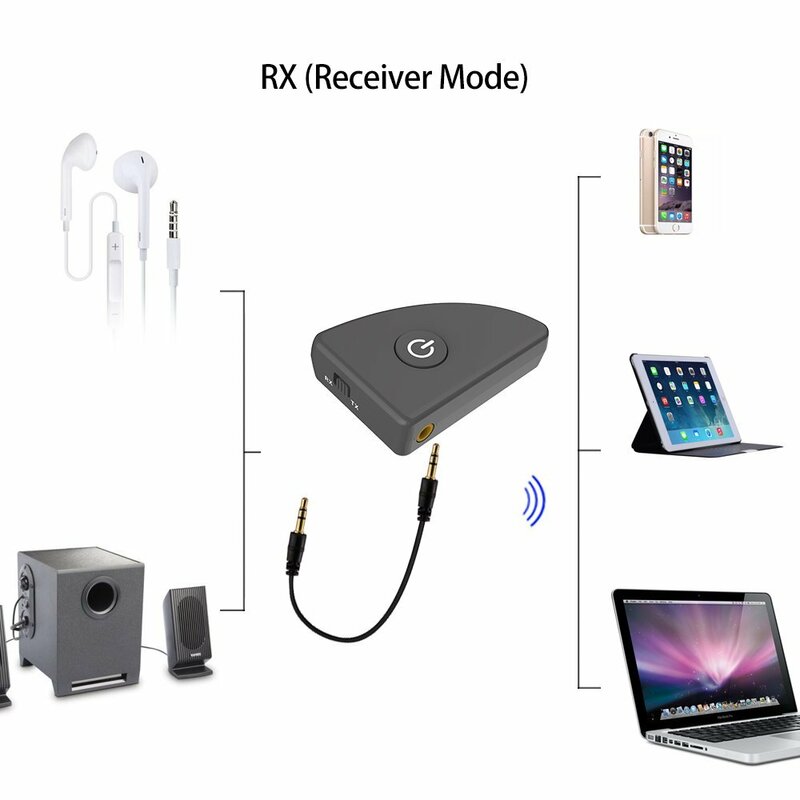 Product Specification	1)Bluetooth Transmitter and Receiver: One portable adapter to use as either bluetooth transmitter or bluetooth receiver, Transmitter function transforms 3.5mm audio-out media devices into a Bluetooth device capable of streaming Bluetooth audio; Receiver lets non-Bluetooth devices like car or home stereos receive high quality audio. 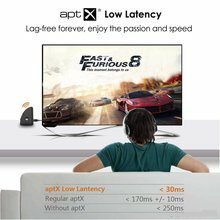 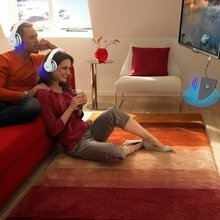 2)Aptx For Impeccable Synced Sound: Enjoy a latency lower device with aptX Low Latency technology; low latency audio with aptX-enabled headphones, so you can watch TV / Movie / Video and listen to high-clarity sound in perfect synchronization, Remind: Low Latency supported Bluetooth transmitter. 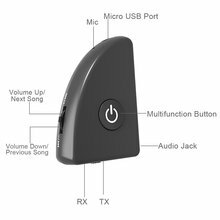 3)Hands-on Control: Subvert the traditional dual hole mode, button controls let you switch between Transmitter or Receiver modes. 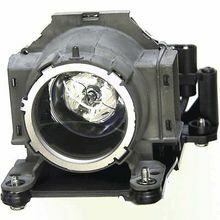 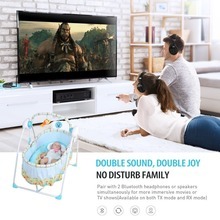 Select the mode first and then turn on the product. 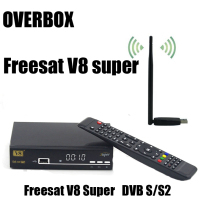 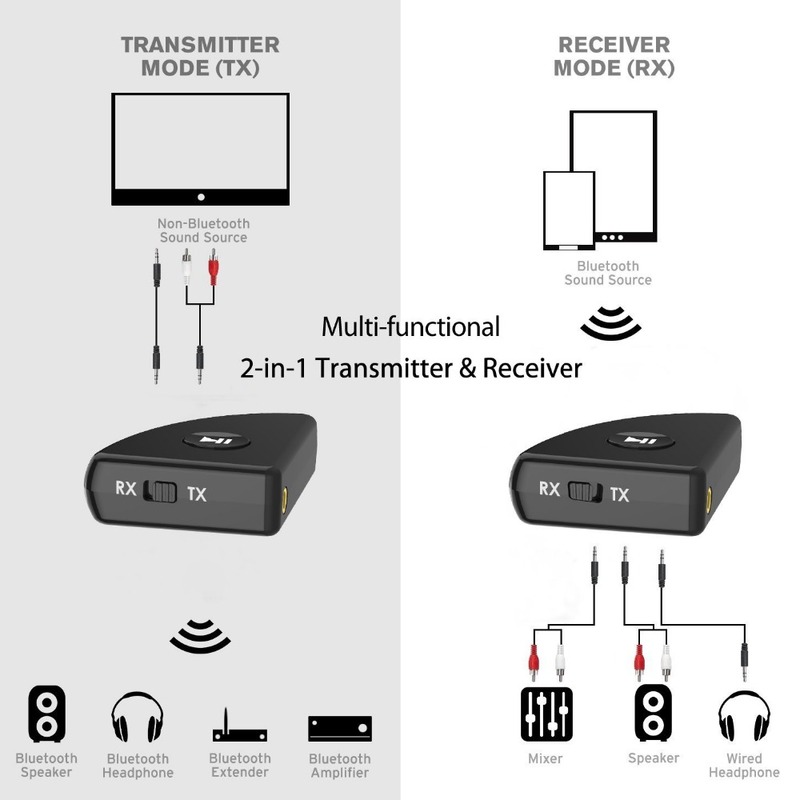 RX for receiver mode, TX for transmitter mode. 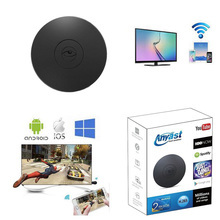 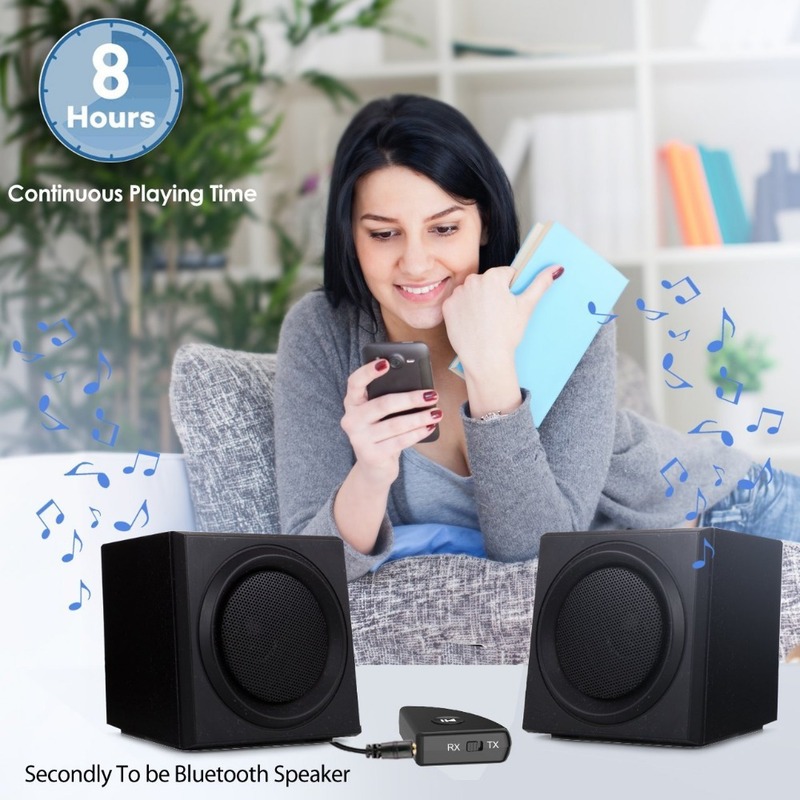 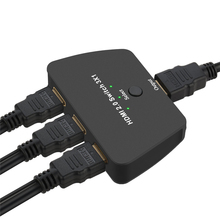 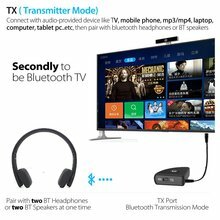 4)Connect 2 bluetooth devices: audio receiver/transmitter support multi-point connection, when the device in TX mode, it can connect with two bluetooth headphones/speakers. 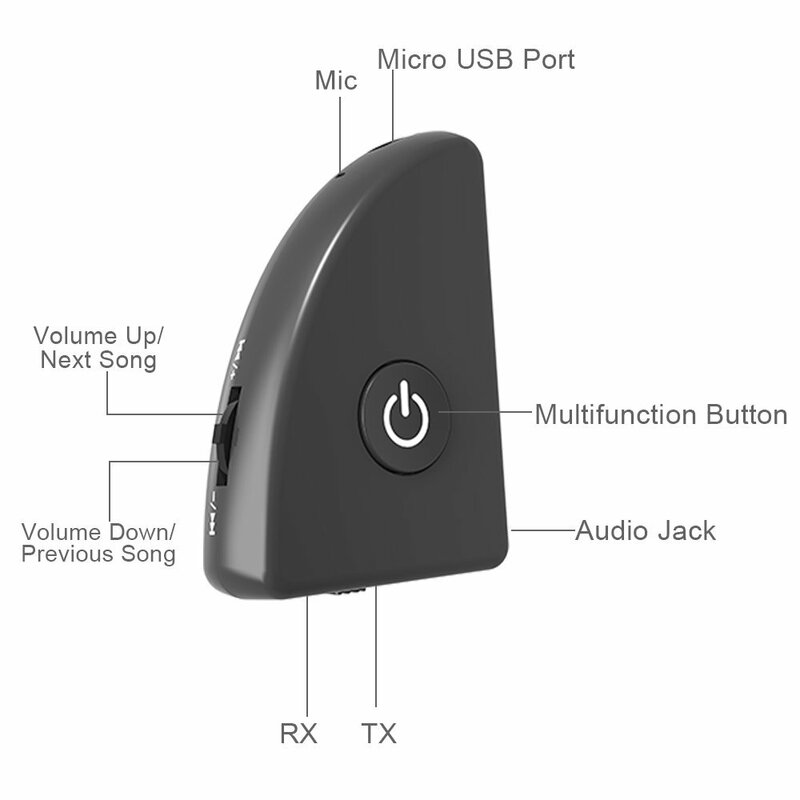 when the device in RX mode, it can be connected with two of your smart phone or tablets to stream music. Give your family a silence atmosphere	5)Extra-Long Play Time: Built-in battery provides up to 8 hours play time, 180 hours standby time, only takes 2 hours to fully charge it. 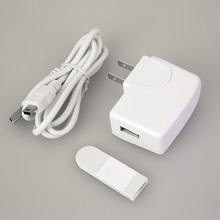 Working & Recharging can proceed simultaneously. 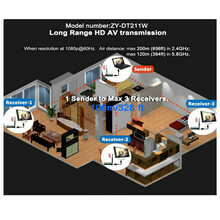 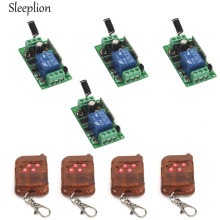 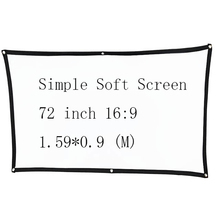 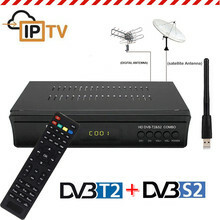 Product Description:	This product is a bluetooth 2 in 1 devices, combined the receiver and the transmitter. 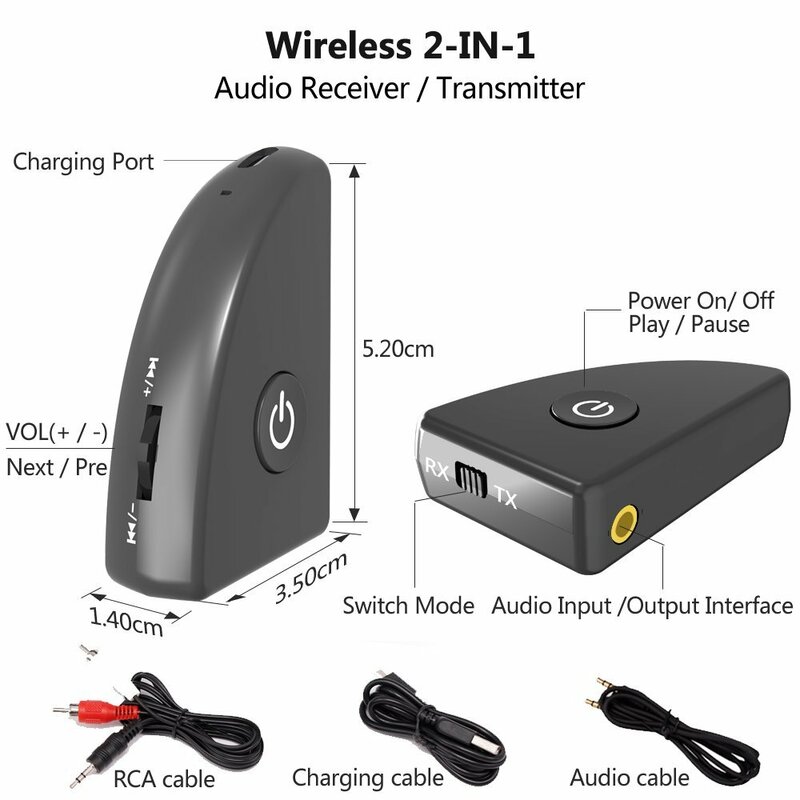 As a receiver, it can stream the audio from bluetooth devices to home speakers / headphones. 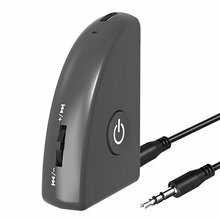 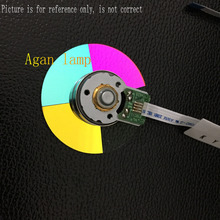 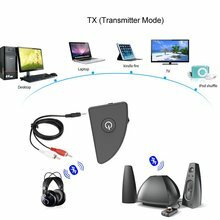 As a transmitter, it can transmit the sounds from non-bluetooth multimedia player(iPod, PC, eBook, MP3/MP4, CD/DVD Player, TV etc.) 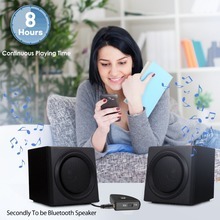 to bluetooth devices, like bluetooth speaker/bluetooth headphone. Bluetooth Transmitter – TX Mode	You can pair bluetooth transmitter with 2 BT speakers simultaneously, just turn on two BT speakers, it will search and pair them in 5 minutes. 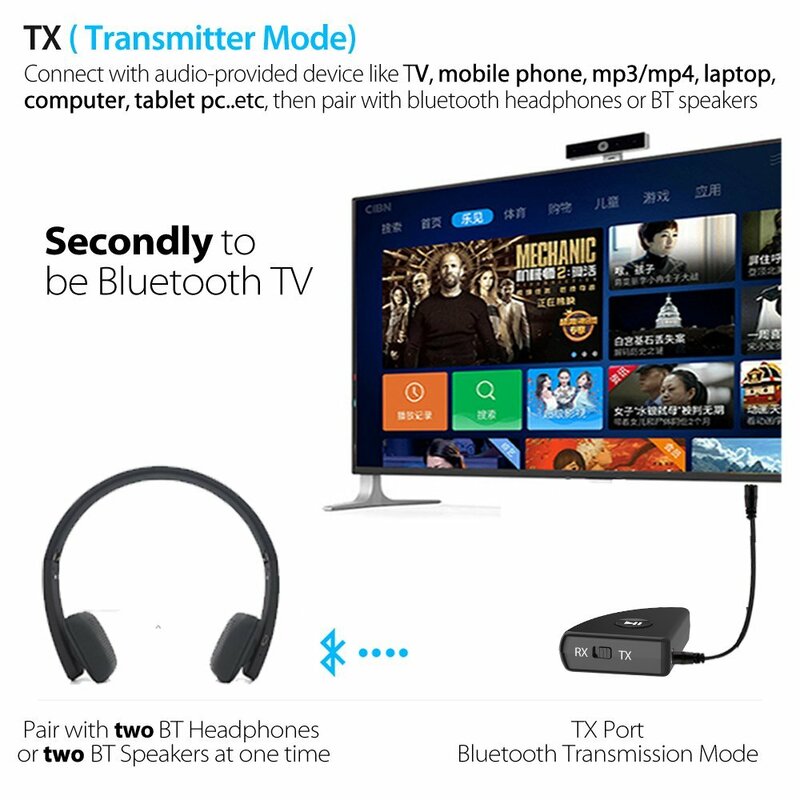 If you just connect one BT device over 5 minutes, and want to connect the second one, please press once the multifunctional button, TX70 will search and pair the second BT devices. 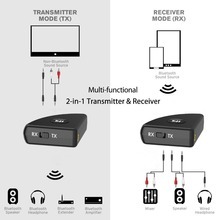 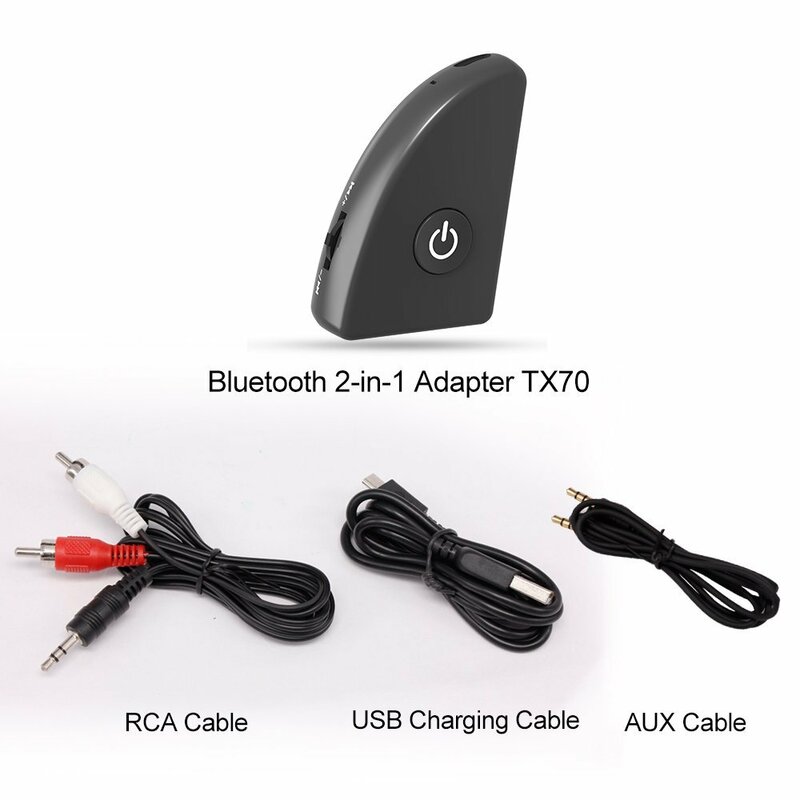 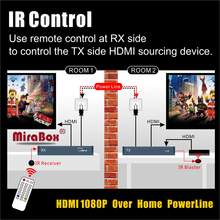 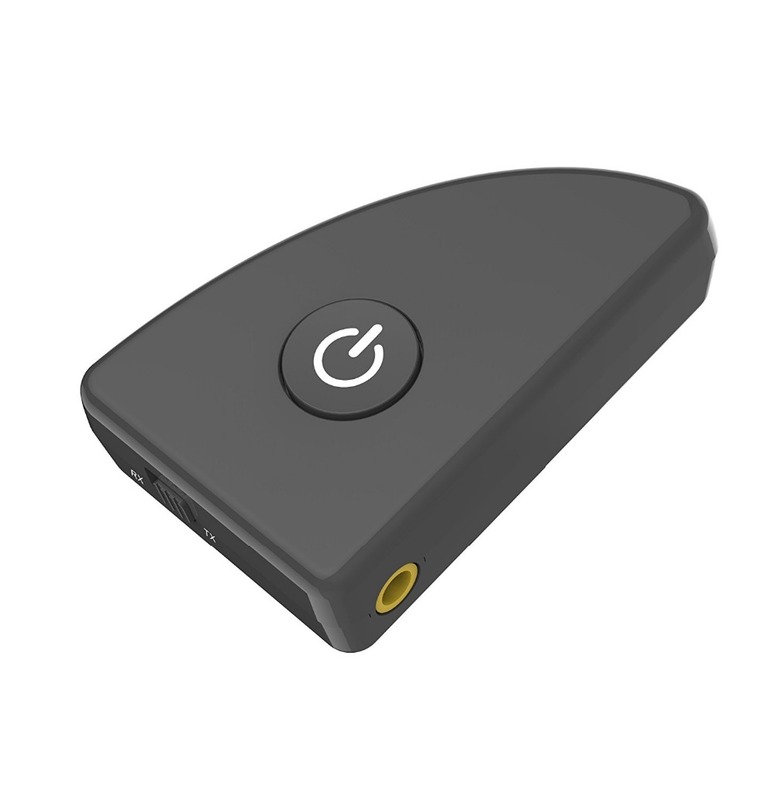 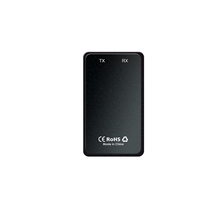 Bluetooth Receiver – RX Mode	Bluetooth receiver can be connected with two devices at the same time, turn on the bluetooth function of two devices, search “TX70”and paired. 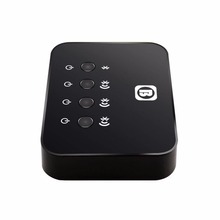 If you just connect one mobile device over 5 minutes, and want to connect the second one, please double press the multifunctional button, then search and pair it. 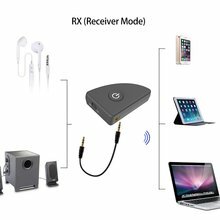 Packing content	1pc x Bluetooth Receiver Transmitter Device	1pc x Micro USB Charging Cable	1pc x 3.5mm Audio Cable	1pc x RCA Audio Cable	1pc x User Manual	Warranty	Our worry-free 18-month warranty, 45 days money back and friendly customer service, which make your purchase absolutely risk-free.